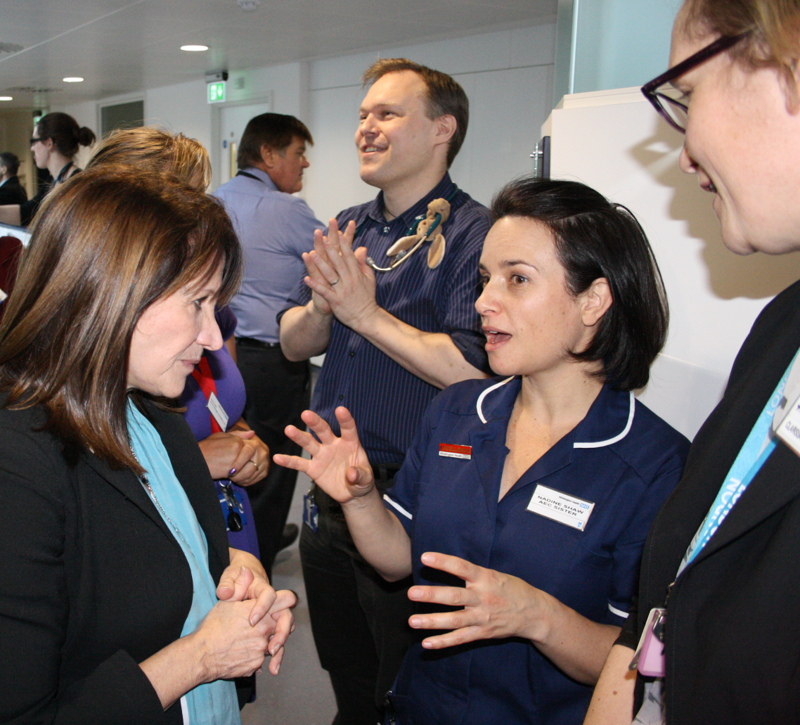 Lynne Featherstone MP met with NHS England last week, to put forward the case for extra funding for Haringey’s frontline health services. The Liberal Democrat MP has campaigned for extra funding for years, after exposing the fact that Haringey gets less money per person than neighbouring boroughs such as Islington and Camden. Last year, following the local MP’s campaign, the funding formula was changed, giving Haringey a £7.6 million funding boost – but it still left Haringey receiving less per person than neighbouring boroughs. During the meeting, NHS England were supportive of the MP’s efforts for fairer funding for Haringey, and confirmed that they are working with North London health managers to try and reach agreement on a fairer distribution of money between the boroughs. The NHS and it’s frontline services are all due to be given a boost on Wednesday – with the Coalition Government set to announce an extra £2 billion in funding. “Securing an extra £7.6million in funding for Haringey last year was fantastic – but we still lag behind the likes of Islington and Camden. And I won’t stop campaigning until we get truly fair funding. “There are many pockets of deprivation in Haringey. We also have higher health inequalities and a large ‘hidden population’ who aren’t registered with GPs, but may well turn up at A&Es seeking treatment, which the borough must pay for. That means we need at least as much – if not more – funding than our neighbours. The funding formula should take that into account. Lynne Featherstone MP has re-launched her campaign for more funding for Haringey’s health services. Last year, the MP for Hornsey and Wood Green exposed figures revealing that Haringey Borough receives hundreds of pounds less funding per person, per year, than neighbouring boroughs such as Camden and Islington. The disparity is due to Haringey historically being classified as an ‘outer’ London borough, rather than ‘inner’ London like Camden and Islington. After a long campaign, NHS England amended the funding formula, giving Haringey an above inflation, £7.6 million increase in funding this year. This was a higher increase than Islington and Camden – but there is still a disparity in funding levels. The Liberal Democrat MP has requested a meeting with NHS England to make the case for further changes. At the meeting, the local MP will present a new petition backing her call, which has already attracted hundreds of signatures since its launch of Friday. “Securing an extra £7.6 million funding for Haringey health services last year was a massive step in the right direction. I was so glad that NHS England listened and changed their funding formula. “But, there is still an unfairness that needs to be addressed – as Haringey is still receiving less funding per person than neighbouring boroughs.